Autumn is peak season for hiking in the Great Smokys. 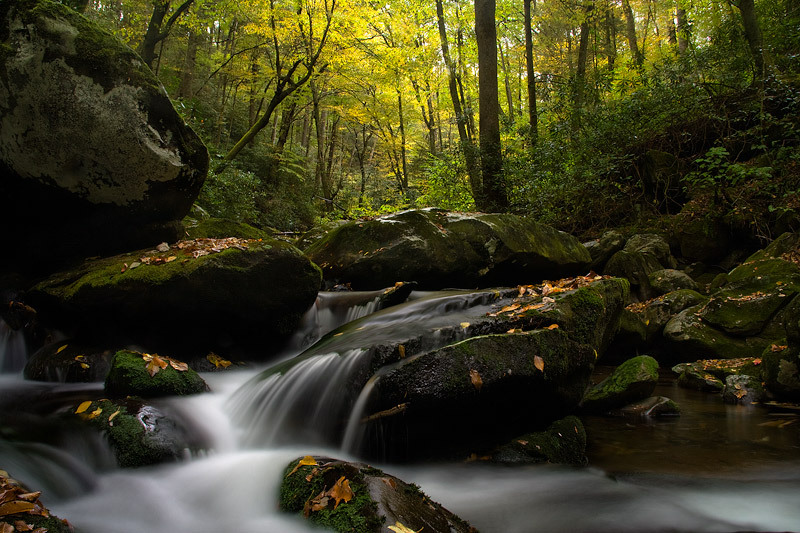 Here you see the trademark style of landscape in this region; silky, smooth water churning over a bookshelf of mossy boulders amongst wind, rain, and colorful trees. Photo © copyright by Michael Greene.